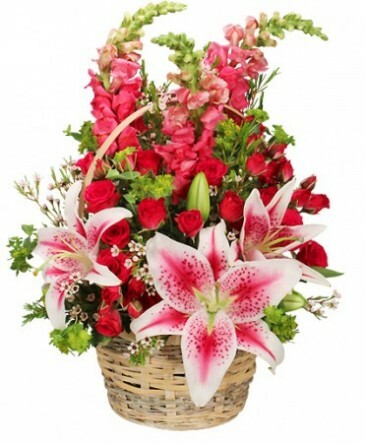 Stargazer lilies, pink snapdragons and little red spray roses have a special way of saying I love you, now and forever. 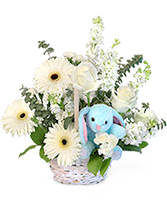 Give all your love this Valentine’s Day with the 100% Lovable basket arrangement. 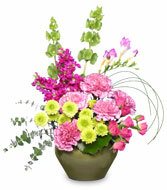 Time to celebrate Administrative Professionals Week April 19-25! 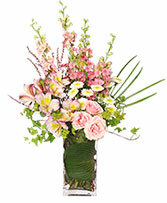 Express your gratitude with this charming collection of gorgeous blooms! Surprising someone with this beauty is sure to make them feel pampered. We also have decadent chocolates you can add for a special indulgence! Order online now or call 636-220-8518 to place your order!